If you’re like most folks, you’re so used to collecting dividends quarterly that it may not have occurred to you that your portfolio can pay you every month. But it’s true, thanks to a small set of stocks that delivers cash payouts month in and month out like clockwork (I’ll reveal 3 with especially juicy dividend yields—up to 6.8%—below). If you’re a retiree, this may take you back to your workdays—when your paycheck rolled in at the same time as your monthly bills. Subtract one from the other and voila: you knew exactly how much disposable income you had. But with your garden-variety quarterly dividend payers, a smooth income stream like that is next to impossible. 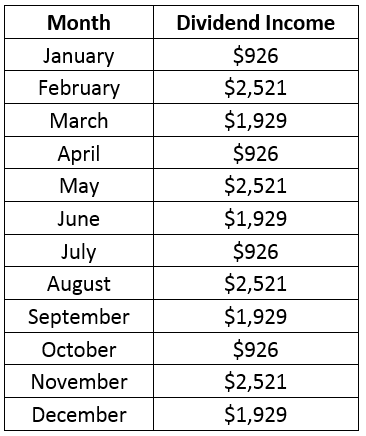 Your cash flow ranges from just $926 in January, April, July and October all the way up to $2,521 in February, May, August and November. To be certain, we’ll never be able to dump quarterly payers from our portfolios entirely, because pretty well all US blue chip stocks ship out their dividends every 3 months. But adding a few monthly payers (including the 3 high yielders I’ll show you below) can do a lot to smooth out our cash flow. They signal a top-notch investment: C-suite types know that a dividend is a promise to investors, and they wouldn’t commit to sending one out every month if they weren’t serious about keeping—or raising—the payout. They magnify your profits: If you’re not leaning on your portfolio for income, getting your dividend cash every month lets you reinvest it faster, boosting your gains (and income stream) in the long run. So it’s fitting that my first pick is Apple Hospitality REIT (APLE), owner of 241 modern hotels in 34 states, operating under the Marriott and Hilton banners. And when I say “modern,” I mean it: the average age of Apple’s portfolio is just four years! The trust focuses on the upscale end of the market (where Airbnb isn’t) with top-notch in-room amenities. But it keeps costs down using a “select-service” model, which offers fewer (but still high-quality) out-of-room offerings. Examples of a select-service approach could include in-hotel restaurants with limited menus and smaller conference facilities than you might find at a larger hotel. The strategy is working: in the second quarter, occupancy ticked up to 81.8%, well above the Americas average of 73.5%, according to Statista. And revenue per available room (RevPAR), a key metric, moved up to $114.09 from $112.10 a year earlier. Which brings me to Apple’s outsized dividend yield of 6.7%, paid monthly, of course. This payout is reliable, accounting for 69% of modified funds from operations (FFO, the main indicator of REIT performance), easily manageable for a REIT—particularly a well-run one like Apple. The kicker? The stock is cheap, at just 10.2 times FFO, sliding open a nice buy window for us. As I wrote a couple weeks ago, the aging of the baby boomers is an investment megatrend that has many years to run yet, and our next pick, REIT LTC Properties (LTC) is perfectly positioned to profit. LTC invests in and finances senior-living centres, with a portfolio of 205 holdings in all, nicely split to include 102 assisted-living homes and 96 skilled-nursing facilities (SNFs) across 29 states. Finally, let’s talk dividends and valuation: LTC’s outsized 5.4% dividend yield (more than 3 times the size of the S&P 500’s average payout) is easily sustainable at 75% of FFO. And while the stock isn’t as cheap as it was in April, when rising-rate fears kneecapped all REITs, it’s still a great deal at 15.1 times FFO. Now that we’ve got our hands on two strong monthly-dividend REITs, we’re going to branch out to another high-yielding sector that’s cheap now, due to investors’ way overdone fear of rising rates. One other thing backstops that outsized dividend: the fund’s deep discount to net asset value (NAV)—or the markdown between GLU’s market price and the value of its portfolio. Keep that in your head for a moment, because this is why CEFs deserve your attention, especially if you’re on the hunt for income. 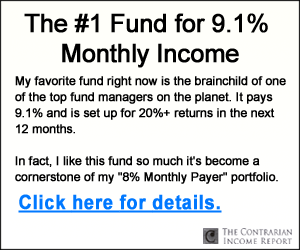 Because while this fund’s yield on market price is 6.3%, the yield on NAV is only 5.8%, a return that’s easier for management to wring from its portfolio, especially when you consider that the average utility stock already pays a cash dividend yielding 3.8%, giving the team at the top a nice head start. That discount is also the trigger for some nice “pent-up” gains: GLU trades at an 8.9% discount to NAV, but it has regularly traded at a premium to NAV in its 13-year history. If that discount were to vanish (a matter of time, in my view), it would unlock quick 10% upside to go with our 6.4% dividend! There’s no doubt monthly payers deserve a place in your portfolio, for the 2 reasons we just discussed: for retirees, they keep your cash flow smooth as silk. And if you’re not retired, you can reinvest your dividends faster—giving your nest egg a nice extra boost. That’s why I’ve dropped 4 monthly dividend stocks into the “6 pack” of steady investments that make up my 8% “No-Withdrawal” portfolio. 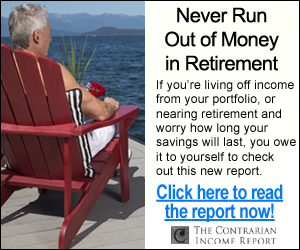 I’ve custom-built this unique portfolio to debunk the myth the so-called experts on Wall Street and in the media preach to anyone who will listen: that unless you have a million bucks, you can kiss a comfortable retirement goodbye! 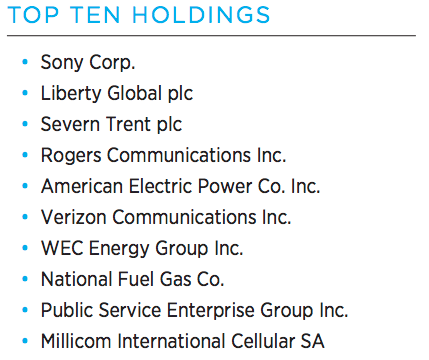 The truth is, with the 6 stout dividend payers in this portfolio, you could clock out of the workforce on a nest egg half the size of what the talking heads say you need. And you can do it on dividends alone, without drawing a single penny of your hard-earned capital in retirement. I’m talking about a rock-solid $40,000-a-year income stream on just a $500,000 upfront investment. That’s an 8% dividend yield—a cut above the yields you’ll grab from the 2 stocks and the CEF I showed you above. Best of all, you won’t have to go back to “lumpy” quarterly payouts to do it. Because thanks to the top-flight monthly dividend payers in my 8% No-Withdrawal portfolio, at least two-thirds of that $40,000 a year will drop into your account every single month. And maybe more, depending on how you split up your nest egg!